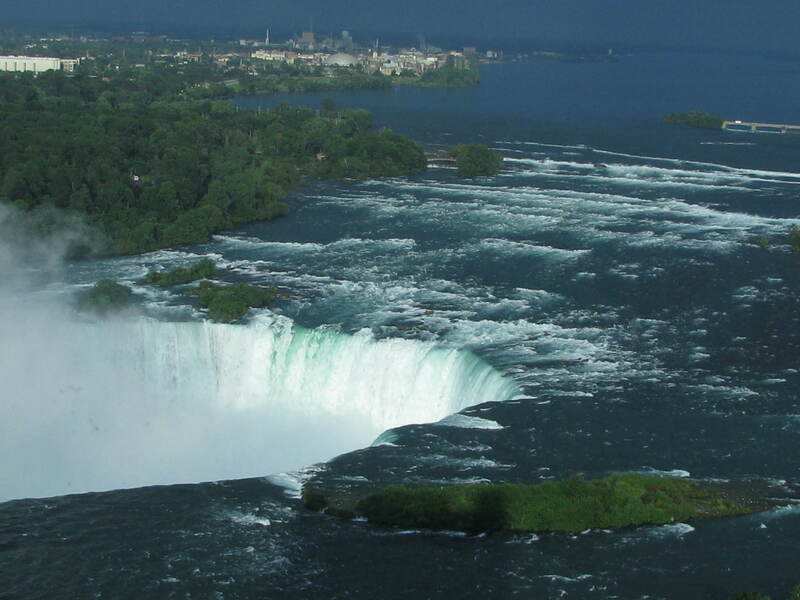 This entry was posted in North America, Travel, Travel Photos and tagged Canada, Nature, Niagara Falls, Photography, Photos, Travel Blog, Travel Journal, Travel Photo, Travel Photos, Waterfalls. Bookmark the permalink. great photo TBM, and nice new gravatar!! Thanks Xandi. The little guy in my gravatar is my dog. I just baked cookies and he was trying to help himself. Hi, just wanted to let you know I gave you the Liebster Award on my blog, thank you for sharing your insite with the world,xoxo. Thank you very much for the nomination. That is very kind. And congrats to you! It must have been mesmerising. Very much so. And it lights up at night which is pretty cool. Well you had a great view from your window! Thanks Nia. It is a beautiful place. Finally, a place that you have travelled to that is right in my backyard!! LOL My parents have always been sailors, and since my birthday is in July we often sailed across from Toronto to Niagara on the Lake for my birthday. I love standing on the lookouts near the falls and feeling the spray on my face. It is so beautiful there. Things have changed a little though – now my husband and I go to Niagara Falls for the casino!! LOL I love how this photo doesn’t just show the falls. You get to see the transition from calm water to more turbulent water until it finally explodes over the edge. Fantastic! Thanks! I was surprised by all the entertainment in the city there. It is a fun place. Sailing on the Lake sounds delightful. Owning a boat is a dream of mine, but not sure if it will happen. But it is nice to think about. It was a wonderful way to spend summers. I have many great memories of sailing, and I really miss it!! I bet you do! I would! I can’t wait to visit Niagra Falls in January. SO EXCITED! I hope you share some photos. Have fun! That is a wonderful view of the falls. It is a breathtaking place to visit. Yes it is! So beautiful. I think I could watch this for hours too. I hope you do in the future! Yes! Great word for it. Ah thanks for the kind comment! Awesome Photo, best of luck with your challenge. Thanks Kaan! Good luck with your new adventure! Reblogged this on The Paradox of My Times. Thanks. I hope all is well in Philly. Wow, that’s an amazing view! I’m super jealous (in a nice way)! Wonderful effect, it feels as though the viewer could get pulled in by the current of the falls and in the process is pulled into the photograph. Thanks for the kind words and observation. So nice of you! I should have felt the ripples in the Force when you were nearby! What! Are you saying you didn’t! Beautiful photo. I’ve been there a few times and we were just there this past summer. We were on limited time and I’d love to go back to enjoy some of the rides later this year. We had the same problem. We were only there for a night and had to leave early the next morning. At least I got to see it, but like you I would love to go back and enjoy the town more. I had no idea it was like a carnival there. A Hotel this close to the Niagara Falls??? 😀 Wow! This photo is so great! Yes I was pleasantly surprised by it! It was wonderful. We shared a bottle of wine and watched the falls. A magical night!